Comes complete with boot. For early frame mounted vehicles. Please confirm that both mounting holes are unthreaded like orignal. 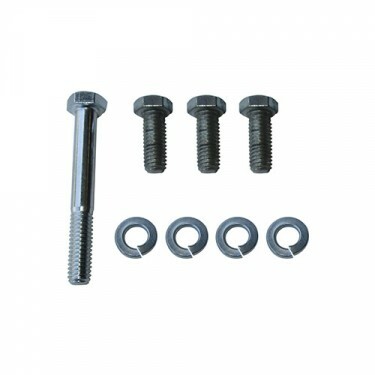 Questions: Hello, if I order the "New Master Brake Cylinder Item # 805223" do I need to also order the "Master Brake Cylinder Repair Kit Item # 805654"? It would seem the repair kit parts would already be included in the new master brake cylinder. Thanks. No, the 805223 is already assembled. That kit is only if your rebuilding your old one. Yes, it is the correct master cylinder originally used. Questions: Working on 52 pickup. New master cylinder and related parts. Pedal is up tight to cowl and cannot get push rod to go further in master cylinder. Could mater cylinder be defective even though its new? Its probably your free pedal travel setting. Please call me toll free. Ask for Mike M. Im happy to help. Questions: I see two different styles of dust boot in the photos associated with this master cylinder, which one does it come with? Depends on current stock. Call us toll free and we can check when your ready to order. Both function the same. Questions: I have a 52 M38 and the Brake Master Cylinder has a steel line taped into the cap on the Master Brake Cylinder going to the Air cleaner canister (Water Forging Version)? Is this a custom modification and what is its purpose? Do I need to reconnect this way? Do you have the cap needed? This is for venting to prevent moisture build up. It is not truly necessary with proper maintenance. Questions: Hi, I have a 1967 CJ5 and my master cylinder looks like this item. However, the description states it is for 46 -66 model year. The master cylinder that your company says belongs on my Jeep is a dual reservoir. Can I use this cylinder on my 67 CJ5? Questions: It worked great when first installed but the male connectors were loose and when I tried reconnecting them I accidentally touched the frame causing a spark. Now the brake light does not work. Is there an electrical component inside that maybe shorted out? 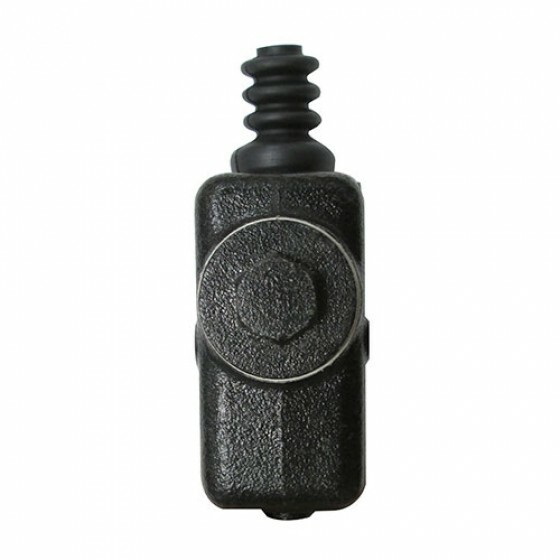 647801 is a pressure brake light switch. I would check your connections and probably replace. Questions: This will work on the M170 as well? Questions: I have a 1950 M38 and am missing the long machine bolts where the master cylinder mounts to the frame. Do you sell that part? Those are a hardware store item. Questions: I am replacing my current master cylinder with the 805223, however the end of my old cylinder is so rusted that i cannot get off the parts. I basically need the part numbers for end of the Master Cylinder where the brake fluid is pushed out. Questions: 1956 Willys pickup, My brake pedal goes to the floor and does not return. no brakes are engaged when pedal is on the floor. Return spring is hooked up and master has fluid. Thoughts? I would double check your free pedal travel and set it properly. You also need to see if your return spring is still there. This is the stock master cylinder above. It is a 1 bore I believe. Questions: On item 805223 there were two answers on the distance between the 2 mounting holes- 3 1/2 and 3 3/8. Which is it ? It is 3-3/8 like original. 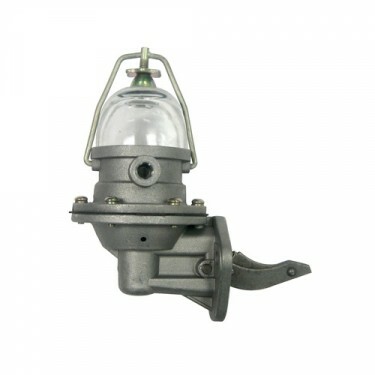 You will want to get this part number the original one 805223. Questions: The original break fluid calls for S.E.A. 70 r1.Can I use dot 4 or should I use dot 3? We usually use DOT 3. Questions: Says it comes complete with boot. Does that include the internal parts? 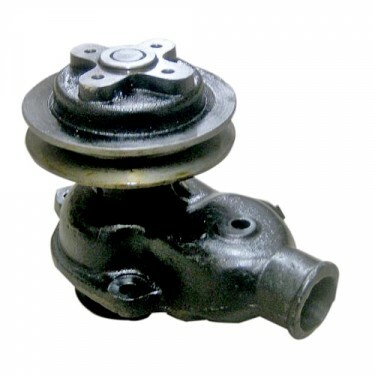 Are there any other parts that typically need to be replaced, when replacing the master cylinder? Yes it comes with the boot as shown. It is a complete master cylinder. 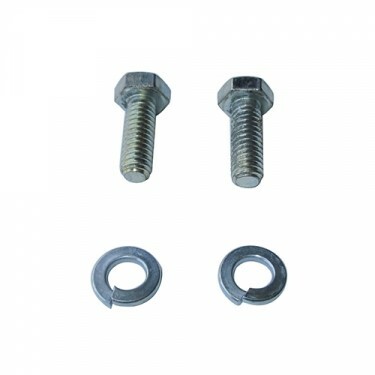 You may also want to get the fitting, outlet bolt, crush washers, and brake light switch with it as well. We sell all of them. Questions: Will this Fit a 1964 M38A1? Yes, this fits all the vehicles listed above. Questions: Can I get just the cap for the 46-66 Jeep master cylinder? Those are only available good used. Questions: Will this fit my 1949 Willys CJ2A ID # 3j29453. Yes as long as you have a CJ-2 with 2 clearance holes for mounting. Questions: Will this work for a 58 Willys CJ5? Yes this is the proper one for you. It fits all the vehicles listed above. Thanks! Yes, it is probably a master cylinder issue. You should also check inside by your wheel cylinders on the drum side to make sure your rubber is not dry rot and leaking internally. Questions: I have a leak at the master cylinder on my 48 Jeepester. Where could the leak be coming from and how would it be fixed? If your old master cylinder is still on there then you probably have alot of corrosion. This will do the trick for you. Questions: Will this fit a narrow wheel base 1958 Will Jeep FC-150? Yes that is correct it is proper. Questions: Will this fit on a 1953 Willys aero lark? Yes this is correct for the Aero. It is a direct replacement. Questions: Does this master cylinder come with the connector for the brake lights? The booster is unoriginal and aftermarket. Depending on the type of booster im sure this would work ok. This is how it was originally. You just run a bolt straight thru it. Questions: Where do I find the serial number on a 48 jeep? On a CJ-2A they are on the firewall next to the oil bath air cleaner on the passenger side. Questions: Does this come with the cap to? Yes this is complete with cap. Questions: I just need the cap for the master cylinder 1949 CJ3A. Can I just purchase that item? We can probably get just that good used. Questions: I have an early model M38A1 (DoD Sept. 1952) Is there anything special on the early A1's for the Master Cylinder?? No, this is the correct one for your vehicle. Yes as long as you are single reservoir. Questions: will this work on 1964 tuxedo park with 10brakes? As long as you have a frame mounted single reservoir master cylinder this should be correct. 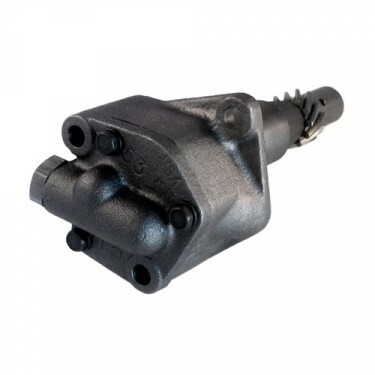 As long as you have 9 brakes with a single reservoir master cylinder mounted on the frame this is the correct one for you. 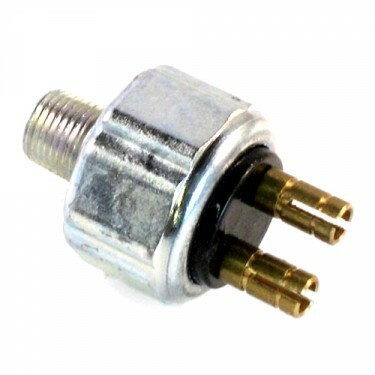 Questions: Is this Part No 805223 suitable for an FC170? Questions: I have a 1971 M38A1, will this still fit? Yes as long as you are frame mounted single reservoir with 9 brakes. Questions: I want to put the disc brakes on a 1955 CJ3B. What master cylinder do I use and do you have or need a proportioning valve? 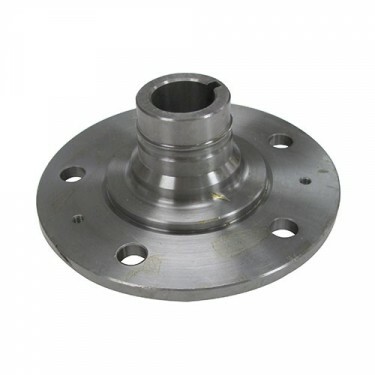 Can I use valve from any Jeep vehicle with disc front, drum rear? 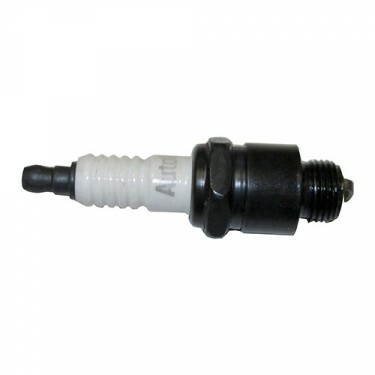 It is recommended to use a disc master cylinder and proportioning valve. We sell it in kits. Try part numbers: 376896 or 376897 depending on your Willys or Jeep. Questions: how far does adjustable pushrod go into master cyl so i know how far i can adjust it? You want 1 to 1-1/2 free pedal travel. Questions: Is this only the tank or does it come with the insides too (piston, spring, outlet fitting, etc...)? This is the complete master cylinder. 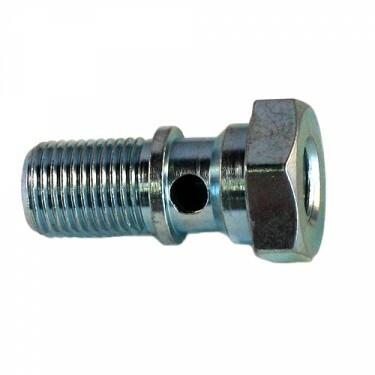 The outlet bolt and fittings are separate. Questions: Rebuilding an M38A1 1954. Original master cylinder is sloppy. Are kits dependable or should I replace? 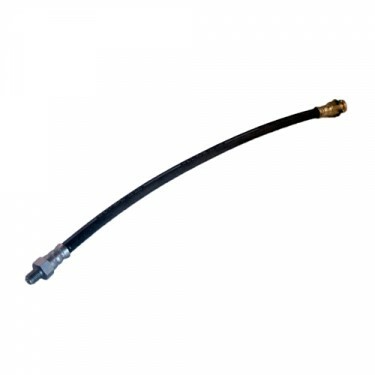 The master cylinder repair kits are a good option but the bore on your old master cylinder need to be smooth. I always try to steer people towards this new master cylinder. Its just alot easier and new. Questions: What type brake fluid goes into a M38A1 brake system? Questions: Is their an upgrade to the orignial master cylinder currently restoring CJ-3B? 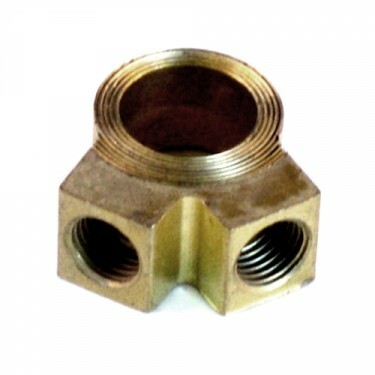 Sure, you can also use part number: 805223-CJDUAL. 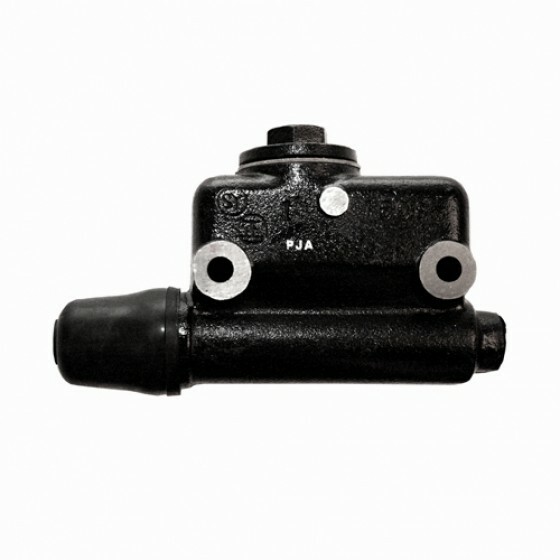 However this master cylinder is great and wont give you any problems. Questions: What is the distance between the mounting holes? Questions: I have a 1950 CJV-35. They only made 1000 of them and some of the parts are from a 3a and some from a 2a. I wanted to rebuild or replace the brakes do you have rebuild kits that I can use? I would want to confirm the brakes you have on there currently. Please call me toll free. I am happy to help. Thanks!